"I feel very grateful to be able to study with you because I think you are an authentic teacher. I think it's rare to find a teacher who lives their yoga. Desikachar says, 'An acharya is someone who leads by example.'" Founder of "YOGA for ALL: Any Body. Any Condition. Any Age." a non-dogmatic school having no "Tradition" boundries. Noted for using adaptation in order to properly apply the methods of Yoga to the unique individual rather than demanding an individual to adapt to a unique Yoga style. Editor of Swami Satchidananda's famous and bestselling text 'The Yoga Sutras of Patanjali'. Improved the Sanskrit Devanagari & Transliteration along with meticulously checking/correcting all Sanskrit definitions found in the text. 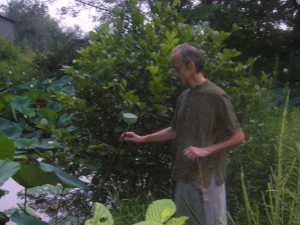 Sought out staff teacher at the Ananda Ashram, Monroe, NY for 9+ years. During his stay led workshops & retreats up to 9 days long. In the late 80's worked closely with Leslie Kaminoff, author of the bestselling "Yoga Anatomy". 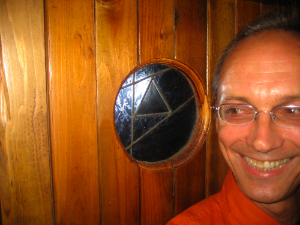 Leslie introduced Paul to Desikachar, Gary Kraftsow & the 'Teachings of Krishnamacharya'. With over 20 years of extensive training in Ballet, Modern, Improvisational, & Ballroom dance, Paul toured Europe as a professional dancer. He taught Pilates Method of Contrology at the Original Studio (56th street) under Ramana Krysanowska, & at the Carola Trier Studio, guiding dancers & others seeking internal strengthening & injury recovery. An esteemed teacher of the NYC Parks Department for 8 years. 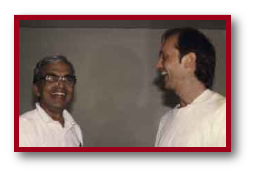 Regularly returns to India to study at the Mandiram, under the guidance of TKV Desikachar, son of the revered T Krishnamacharya. ...is invited to teach various seminars and workshops for established and debutante teachers in prestigious Yoga schools throughout America. ...holds a seat as senior teacher (RYT 500) at several yoga teacher training programs nationwide. ...is the founder of "YOGA for ALL: Any Body. Any Condition. Any Age." 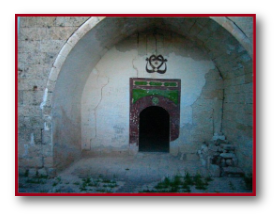 a non-dogmatic school having no "Tradition" boundries. ...Emulating his teachers, Paul is noted for using adaptation in order to properly apply the methods of Yoga to the unique individual. ...has spoken to audiences throughout NYC and it's surrounding burrough's as a professional consultant to the NYC Public Libraries, at Beth Israel Hospital, and other prestigious organizations. ...has taught in India, at the Madras Sanskrit College in Chennai. ...was a sought out staff teacher at the Ananda Ashram, Monroe, New York for over 9 years. During his stay led workshops and retreats anywhere from a single day to 9 days long. ...holds Advanced Level II & III Yoga Teaching and Prenatal from Integral Yoga Institute. 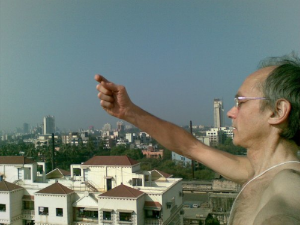 Additionally, Paul has studied Yoga Therapy for specific disease at the Krishnamacharya Yoga Mandiram, , Chennai, India, under the direction of Sri TKV Desikachar and assisted Sri BKS Iyengar with his medical classes in Pune, India. ...grandfathered into the Yoga Alliance, 500 hour teacher certification, a national standard for Yoga Schools. ...holds certification in Vedic studies and authentic Vedic chanting from the Kuppuswami Sastri Research Institute, Chennai India. He has attained excellence in Sanskrit through study with the eminent scholar, Sri Brahmananda Sarasvati, at Ananda Ashram. 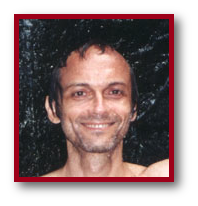 Paul also studied with and assisted Vyass Houston, the Director of the American Sanskrit Institute, helping him to conduct workshops in NYC and at Ananda Ashram. His Sanskrit studies have also taken him to the University of Pune where he studied with Mr. & Mrs. Jha. ...college years were guided by a movement major, where at NYU he discovered the work of Laban. He continued to study at the Laban Institute while doing research on the life and works of Laban and Joeseph Pilates. ...studied Tai Chi under Master Mantak Chia and hold a certificate of completion in Cosmic Healing from the Healing Dao. This lead him to visit China where he received a certificate for completing a small course in Qui Qong at the Xi Yuan Hospital, China Academy of Traditional Chinese Medicine. ...endured the South Dekota-swift changing dynamic weather-for an entire summer on an American Indian reservation while supporting Sun Dance ceremonies and pouring Sweat lodge. ...was a long term practitioner of Tantric Meditation, trained by aesthetic monks throughout Europe, India and USA. He began his Yoga studies in 1974 after attending a lecture from an Indian Monk in the town of Carbondale, Illinois.